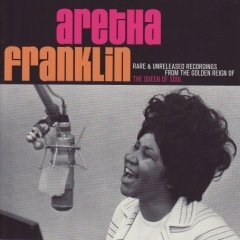 Aretha Franklin needs no introduction as THE “Queen of Soul” however it is her period on Atlantic Records between 1967 to 1974, during which she recorded 10 studio albums and 3 live albums, which substantiates this accolade and is the “Golden Reign” referred to in the title of this 2CD 2007 Rhino Records release. The opening track is a demo of what became her signature tune “I Never Loved a Man (The Way I Love You)” with just a piano, bass and drums from unknown musicians probably from her then touring club band. In addition to demos and alternative takes of well-known tracks this superb compilation also includes many previously lesser known gems such as Van McCoy’s “Sweet Bitter Love” which has just the vocal and Aretha on piano. What is surprising is that so many of these gems did not find release, either as singles or on album, and the sheer breadth of material Aretha attempted. So there’s the Gospel infused Soul that is familiar, but also she interprets Blues from Little Willie John, Pop from the Beatles and songs made famous by a host of Soul artists, always adding her own style. She even does “My Way” and finds something new in the song which is an outtake from the “Spirit In The Dark” album sessions. This track alone highlights the top quality off her backing players and singers which included The Sweet Inspirations ,Billy Preston,Melvin Lastie,Bernard Purdie,King Curtis,and the king of the guitar in-fill Mr Cornell Dupree all of whom are just some of the performers who grace this set. Finally I will leave you with one of Fiona’s favourite songs “At Last” the definitive version remains Etta James’, however, I am sure Fiona would have loved this alternative Aretha arrangement. 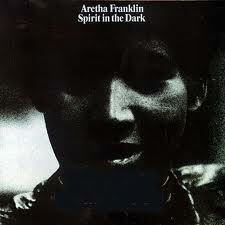 Virtually every song here affirms why Aretha holds the place in musical history that she does, but there is nothing here that outdoes what’s already been commercially released, however, it’s doubtful that many who only own Aretha’s greatest hits sets and other compilations from the Atlantic era will become any more of a fan based solely on these tracks. On the other hand if you love her albums and class yourself as a bit of a “soul/r&b” aficionado then that’s precisely the same reason why you can’t be without this Golden Reign collection.